Confession: I LOVE homeschooling. But, I don't always LIKE homeschooling. As with most lovely things, there are always unloveable pieces and parts. That's the nature of living in a fallen world where "perfect" gets tarnished or cracked. Don't get me wrong. Homeschooling is definitely my calling. 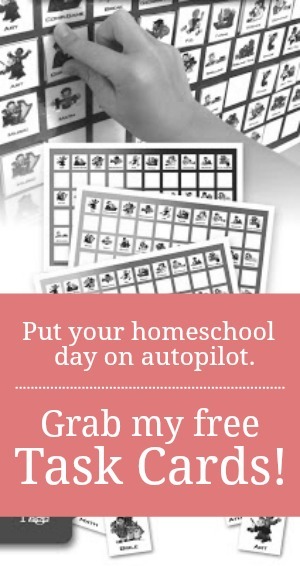 I was called by God to homeschool my children. That doesn't mean that homeschooling is always easy. On the contrary, like ALL educational choices, homeschooling comes with its own mixed bag of strengths and struggles. 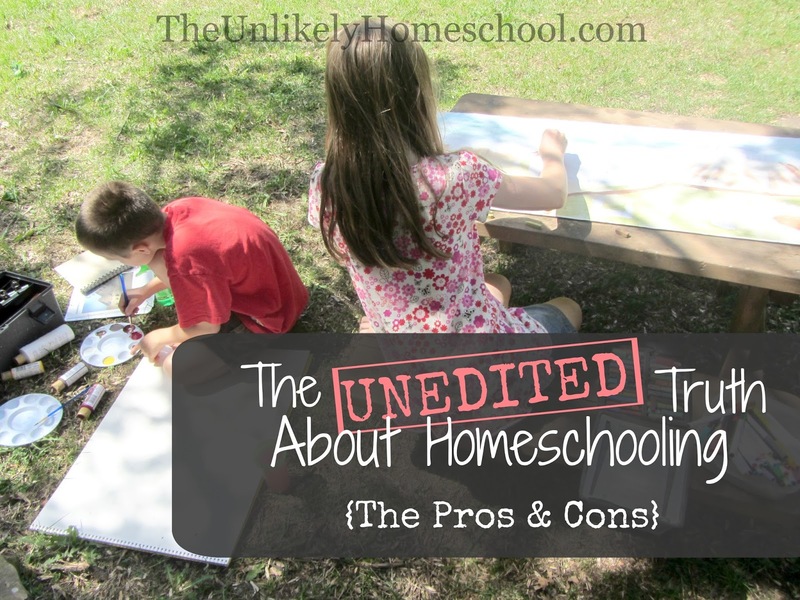 But, these unavoidable pros and cons of homeschooling are the very ones that God, in His providence, has planned for me...and my kids. They are what mold us and shape us and refine us DAILY...for our good and His glory. While my list of homeschooling struggles and strengths might look quite different from someone else's due to the individuality of my individual home, I do think there are several universal pros and cons that characterize every homeschool. Pro: My kids are with me all day long. I have the privilege of walking alongside my children during each and every milestone...of cheering after every triumph and encouraging after every tragedy. I get to be present...really PRESENT...in their days...to pour into them deeply, and experience first-hand what it means to shape a life. Con: My kids are with me all day long. It's true. There's no escaping them. They are always here. I get no sick days. Or holiday pay. Or time off for good behavior. It's just me and them. Every.single.day. And while I SINCERELY wouldn't have it any other way, I must admit that sometimes I wish I could hire a substitute teacher for the day. Pro: School is at home...as in, THIS house. The other day my daughter shared that in her Q & A Journal for Kids, she was asked to recount her "journey" to school each day. Her answer? "Umm...I get out of bed." All silliness aside, there is something wondrously wonderful (Is that even a phrase? If it isn't, it should be!) about not having to rush my children out the door at too-early-o'clock in the morning shoving ziplock bags of cereal in front of their half-opened eyes. I like the fact that our schedule is OURS...not the one-size-fits-all mantra of the brick-and-mortar school down the street. If we want to do school in our jammies, we hike up our "footies" and do school. If we want to take a vacation the first week in September, we launch out and leave the books behind. It is our home. It is our school. Con: School is at home...as in, THIS house. One day my "manger" will be clean, but it will, undoubtedly, also be empty. Excuse the mess, I am preparing for abundant crops someday! Pro: My kids get to spend lots of time with their siblings. I vaguely remember standing at the end of the street corner with my mom, waving as a big yellow bus hauled my best friend off to school one day. I cried. A lot. That year, our relationship drifted. She made new friends and I...well, I watched from the sidelines. During the turbulent teen years, we grew further apart. We were pulled in two polar directions...different schedules...different interests...different lives. Fortunately, as adults, we have forged a path back to each other, but the journey wasn't without regret. Homeschooling provides my children with a gift...the gift of time. Time well spent. Time invested. It was my daughter who led my son to the Lord. It was my son who taught his younger brother how to button a shirt. Long after I am gone from this world, they will have each other. Lest the Lord has other plans, their lifetimes together will be longer than my life time with them. This time spent homeschooling is building a foundation of sibling TOGETHERNESS that will hopefully multiply for years to come. Con: My kids get to spend lots of time with their siblings. They love hard. They play hard. But, they also fight hard. Let's face it, living life together sometimes gets a little ugly. Feelings get hurt. Conflict ensues. Arguments erupt. Since my children are not pulled away from each other for six to eight hours a day, they can't ignore the struggles of relationships. They must face them head-on. Yes, they fight...sometimes often. But, that also means they get to "make up" and experience Biblical restoration. They can't just walk away or pick a new friend to play with. They must learn to resolve problems and redeem relationships...a life skill that is lacking in most adult friendships and marriages today. This time spent together is a training ground for SOMEDAY. Yes, homeschooling has struggles. It's not perfect. There are bad days. There are cons, not just pros. Perhaps the con I hear most often comes from well-meaning folks after they realize I homeschool. They are always quick to declare, "My, your hands must be full." CON: Why yes, my hands ARE full. PRO: But, so is my heart. It's true. I don't always LIKE homeschooling. But I ALWAYS love it. I love the strengths. I love the struggles. The pros AND the cons. 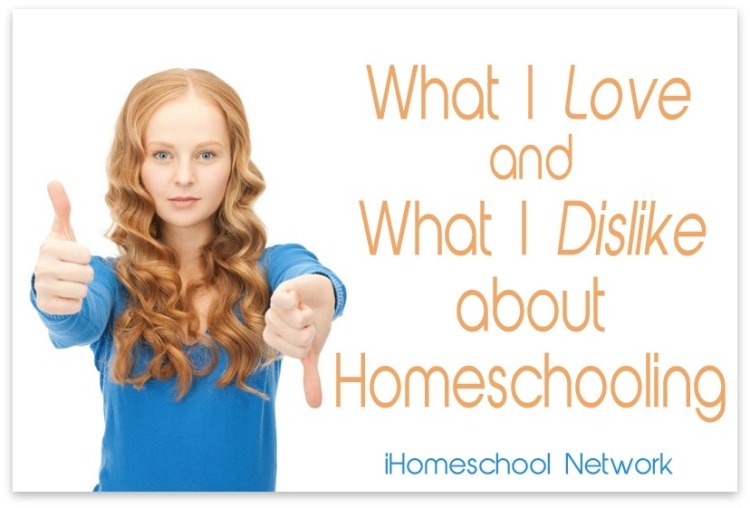 For more thoughts on the PROS and CONS of homeschooling, be sure to visit iHomeschool Network. Thanks for sharing my post, Heidi. That zipline looks awesome. My friend has a zipline in her huge backyard...I snuck a ride on it not too long ago. My kids would love to have one should me move and have a bigger backyard. This is such a wonderful post. You hit the nail on the head with this one. Thank you, Dawn. Homeschooling is hard. But it is so worth it. Awesome post! And I am right there with you for the home decorating theme of dust and clutter!!! I laughed so hard when I read that. It is so nice to know that we are not alone and we have other homeschooling families to get through the tough days with. Yes. I love knowing there are other mommas walking the journey with me. Thank you for the honesty. Life is filled with choices, and all choices have pros and cons. An excellent post illustrating that idea, and the balance we strive for. Oh my...you spoke my heart. Getting all choked up and teary eyed. Great post as always! Wow! Thank you for sharing this. What a wonderful post! Sounds like my life! I love how you put it! People are always so surprised when they realize I love being with my 4 boys. It's indeed an adventure! It's also a privilege and a challenge! Mostly a blessing from God! Yes. I love being with my kids too. Of course there are hard days. But there'd be hard days at an office somewhere also. I can't imagine sending them away for so much of the day. This made me laugh and just encouraged me. Thank you! !